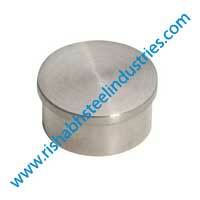 Rishabh Industries Is One of The Largest Manufacturer Of Stainless Steel Pipe Cap in India. SS Pipe Cap has excellent resistance to chloride-ion stress-corrosion cracking, and as well shows appropriate resistance to a number of oxidizing environments. ASME B16.9 Cap is very much resistant to chemical corrosion and oxidation, and has some high stress-rupture effectiveness and low creep rates under high stresses at temperatures after suitable heat treatment. 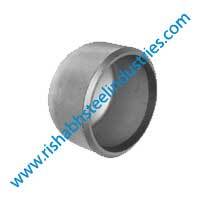 Our ASME B16.9 End Cap are accessible to our valuable customers in different range of diameters, wall thicknesses and sizes in customized form and also at quite affordable rates. Meanwhile, we offer different types of these fitting such as Stainless Steel ASME B16.9 Buttweld Pipe Cap, Inconel ASME B16.9 Buttweld Pipe Cap, Carbon Steel Pipe Cap, Alloy Steel ASME B16.9 Buttweld Pipe Cap. 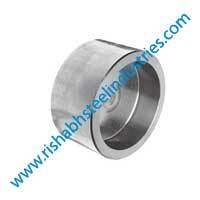 Stainless Steel Pipe End Cap, usually liquid or gas tight, cover the otherwise open end of a pipe. 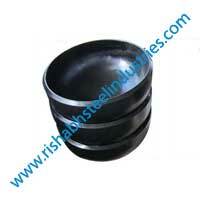 A Pipe Cap attaches to the exterior of a pipe, and may have a solvent-weld socket end or a female-threaded interior. 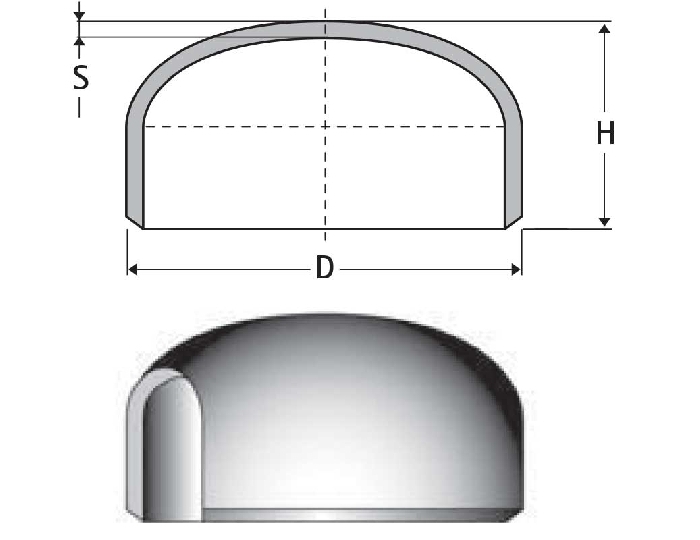 The exterior of an industrial cap may be round, square, rectangular, U- or I-shaped, or may have a handgrip. If a solvent-weld cap is used to provide for a future connection point, several inches of pipe must be left before the cap; when the cap is cut off for the future connection, enough pipe must remain to allow a new fitting to be glued onto it. All weights are in pounds and Pipe End Weight Per kilograms and approximated or estimated. pipe end cap weight calculation, pipe end cap welding,pipe end cap steel,Buttweld Pipe Cap Traders In India, pipe cap dimensions stainless steel, carbon steel end cap material,monel 400 pipe cap, nickel alloy end cap, inconel 600 pipe end cap, hastelloy end cap manufacturer & stockists.